ward and lateral velocities. A dual tape-like indicator showed the altitude and descent rate from the digital autopilot's state vector in the computer. Each operator also had two hand controllers—one to control attitude, and one to control translations and vertical velocity (figures 8.5 and 8.6). Under normal conditions, the commander did the hands-on flying while the LMP monitored the systems. Each time the commander moved his stick from its center position, it sent two signals to the computer, an analog voltage proportional to the amount of deflection, and a switch closure indicating that the stick had been moved. The most important LM digital autopilot mode was ''rate command/attitude hold,'' entered by Verb 77 in the DSKY, or by flipping a switch from PNGS AUTO to ATT HOLD. In this semiautomated mode (similar to the ''rate command'' mode in the X-15), the astronaut could deflect the stick and change the vehicle's attitude. When he released the stick, the digital autopilot would automatically hold that new attitude. 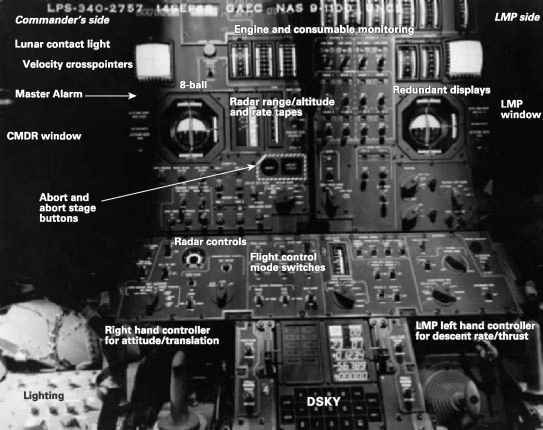 A similar mode (used simultaneously) for vertical control enabled the computer to maintain a precise rate of descent, allowing the astronaut to increase or decrease the rate with a switch. 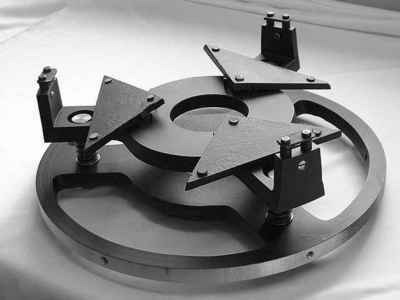 The manual control modes in the LGC started out as digital reproductions of the analog loops found in the lunar landing research vehicle, or LLRV (discussion to follow), but over time they evolved to be ''quintessentially digital, making freer use of the logical branches, counters, and nonlinearities which are so readily, and reliably programmed in the digital computer. ''22 In this rich scheme, the computer did not replace the pilot's skill but rather coalesced the complex craft into an interface that provided both simplicity and variety. Like the programs embedded in the computer that commanded spacecraft systems to perform certain duties, these coded instructions directed the humans to perform particular behaviors and to make decisions based on data they observed. 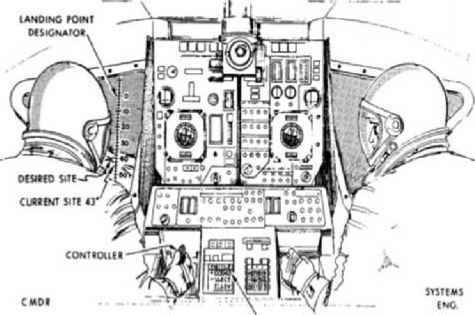 Like the ones and zeroes in the core ropes, the paper timelines in the LM cockpit helped tie the system together, binding human and machine into a single, integrated mechanism.